Samsung smartphones come with a very useful feature that you rely on in difficult situations for help. 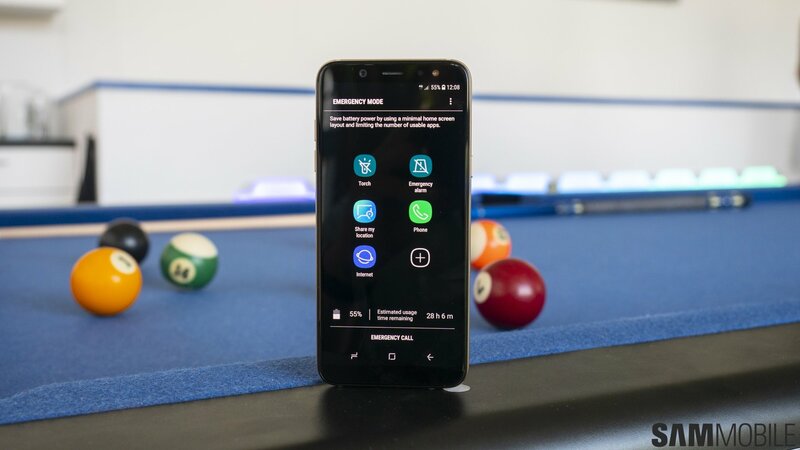 It’s aptly called Emergency mode and lets you access important emergency features and helps conserve the handset’s battery power to extend its standby time for as long as possible. It also limits the device’s functionality in order to conserve battery life. The home screen is changed to a simple black theme and simplified when the Emergency mode is enabled. The brightness and frame rate are lowered while the CPU speed is limited. It restricts app usage to the essential apps that you select and turns off mobile data when the screen is off. Other connectivity features such as Wi-Fi and Bluetooth are disabled as well. The location settings remain as they were in the Emergency mode once it’s turned off. It’s basically the ultra power saving mode with the ability to send a distress signal from your phone. Once the Emergency mode is enabled, you can turn on the flash to use it as a torch, send your location to a contact through text message, sound an emergency alarm on your phone, browse the internet and make/receive phone calls. Step 1: Press and hold the power button for a few seconds and then tap on Emergency mode. Step 2: Read and agree to the terms and conditions, then select Turn on in the popup window that shows up to enable emergency mode. Step 3: Use the “+” button to add one additional app to the simplified home screen if you need. Only select apps work in this mode. That’s it. 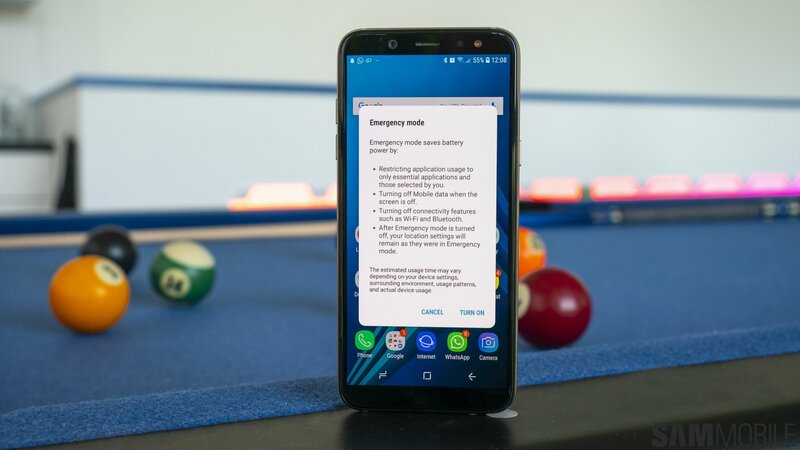 Emergency mode is very easy to enable and use and will certainly come in handy if you ever find yourself in a difficult situation. Tap on the relevant options to activate the emergency alarm and torch or to share your location and make a phone call. 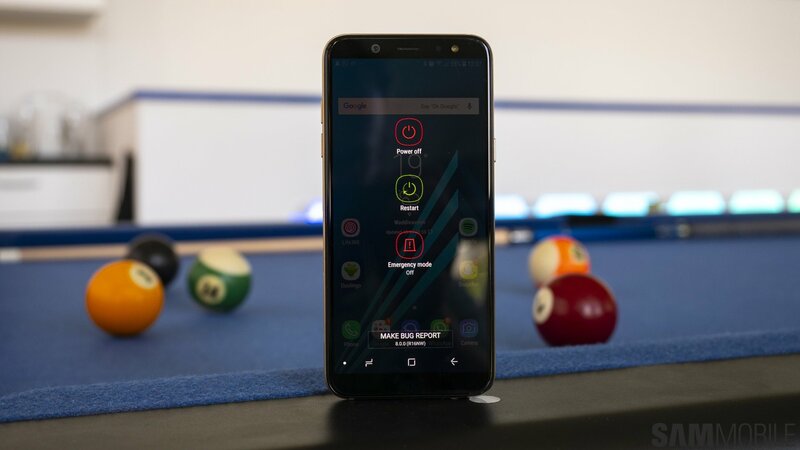 Samsung has made it very simple to understand and use. The emergency alarm is a particularly good option as it loudly beeps when enabled. To turn off the Emergency mode, just tap on the overflow menu (the three-dot icon) in the top right corner and tap on the relevant option. You can also manage your emergency contacts by tapping the Manage emergency contacts option in the overflow menu. Isn’t the three dot icon known as the overflow menu? Hamburger menu is specifically three horizontal lines that vaguely resemble a burger, hence the name, and typically opens a drawer or panel. Some might consider this a bit nitpicky but I believe you should call UI elements by the appropriate name to avoid confusion. I know it is not an emergency, but having access to the music player would be great for long journeys when the music is the only thing you are using… Emergency mode really does help extend battery life. For that you have ultra power saving mode. Unfortunately there is no music player in emergency mode.